This Slot Games Glossary is divided into 3 parts at gamerisms. There are over 100 slot machine terms related to these mini-games especially for enthusiastic players who enjoy playing online slots as well as offline. Slots are classified as mini games in the slots game glossary because they are played on a small screen and many slot versions offer games or features within the main bonus game. See description of slot game types below. The first part or Introduction of the slot games glossary describes video slots types and continues with letters A-C. There are 4 types of slot mini games. Basic Slots, Progressives, Bonus Slots including multi-lines, reels, ‘Wild X Multipliers’ plus Community Play or Multi Player. The majority of these games are available at both online casinos and offline. 1) Basic Slots: Single payline, also known as straight slots, have a constant top jackpot payout that does not change. 2) Progressives offer increasing jackpot $$ dependent upon amount of monies played through the linked bank or carousel of slots. 3) Bonus Slots or Multi-lines are the largest group of mini games played in casinos today. Multi-line mini games offer a bonus event, scatter pays, free games and multipliers. Action: slot activity that includes all coins or credits played and winnings played or lost. Example: if you begin with $200 and win $50 during the session, your action is $250. Slots action also determines your comp points. Bank: group of slot machines, also known as a carousel of machines. Progressive carousels are linked to play for a single top jackpot. 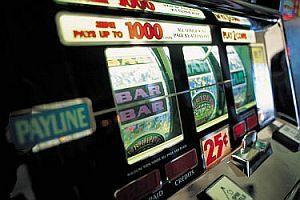 Basic Slots: have a constant top jackpot payout and a single payline meaning one line across the display glass on the front of the machine. Examples are double and triple diamond, red, white & blue 7’s or blazing 7’s. Bet Max: is to bet the max coins for each play/spin. The best payouts occur when maximum bet is played. Bet One: is to bet one coin for each play/spin. 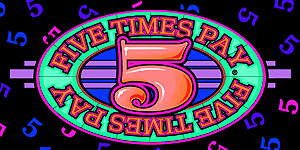 While you may play longer, it eliminates the possibility of receiving payouts for the highest jackpots. Bonus Added Slots: features for these mini-games include multi-spins, 5 reels, multi-lines, bonus games, wild symbols, scatter pay, multiplier and nudge-hold. Bonus Feature: mini-games slots offer several bonus features. Example: free spins, multipliers, scatter pays, wild symbols and/or second-screen bonus event. Bonus Multiplier Slots: offer larger top jackpots as incentive to play max coins. The top jackpot symbol will only pay with max coins. Bonus Multiplier or Wild Slots: versions with wild symbols, scatter pays and/or free spins. During play, max coins produce larger winnings. Bonus Slots Online: are covered in this Slot Games Glossary to include Multi-spins or mini games, 5 reels, Multi-line: 40+ paylines, Bonus slots and Fruit machines. Bonus Video Slots: also known as branded machines, entertainment-content and interactive slots. Bonus slots feature second chance bonus round and 50+ paylines. Buy a Feature Slot: additional bonus credits and features are put into play when multiple coins are bet. The top jackpot is won with maximum coin play only. Buy-Your-Pay Slot: each coin played triggers the posted symbol payout. Example, if you play one coin, you only trigger cherry pays. Two coins trigger cherries and bars. Call Attendant: the slot of your dreams has lined up just right for a hand-pay accompanied by the sound of bells and clapping. Carousel: a group or bank of slots. Certified Slots: casinos promote their certified slots with flashing, large, neon lights, guaranteeing 98-100% payback. Most of these mini games are dollars. Coin in/Coin out: coins in is amount played through machine. Coins out are paid wins.These two numbers determine a slots overall payout percentage. Coins: slot coins offer several denomination options, usually from pennies to $5 and up. Betting maximum coins will activate all symbols and/or lines on a multi-line bonus slot. Collect: amount of credits/cash won after a session of slot play. Bonus slots conclude the bonus round with a collect button. Comps: freebies awarded to new or returning players in the form of cash, and other special amenities determined by number of points accumulated using your slot card. .
Community play or Multi-player concept: View features and 7 examples listed under Multi-player slots. 100 pennies=$1.--divide by 100 for $ value. 20 nickels=$1.--divide by 20 for $ value. 10 dimes=$1.--divide by 10 for $ value. 4 quarters=$1.--divide by 4 for $ value. 2 50cents=$1.--divide by 2 for $ value. gamerisms Slot Games Glossary in 3 parts is a reel adventure for players who enjoy the slots playground.